Northbrook, IL- (August 15, 2016) — (RealEstateRama) — The Boulder Group, a net leased investment brokerage firm, has completed the sale of a single tenant LabCorp office property located at 150 Spring Lake Drive in Itasca, IL for $6,250,000. Itasca is located in the Chicago MSA west of the Chicago O’Hare International Airport. The 40,150 square foot LabCorp building is positioned on a 3.37 acre parcel within the Spring Lake Business Park. The Spring Lake Business Park also features the corporate headquarters of Knowles Corporation which is a publicly traded company (NYSE: KN) with a market capitalization of $1.5 billion. The property is benefitted by its location within the O’Hare industrial submarket which has a market vacancy 22% lower than the entire Chicago MSA. 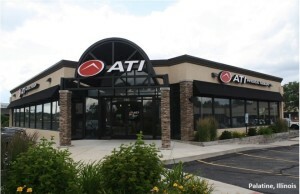 The property is benefitted by its location along Interstate 290/355 which experiences traffic volumes in excess of 225,000 vehicles per day. Chicago O’Hare International Airport, which is the 8th busiest airport in the world, is located approximately ten miles east of the property. 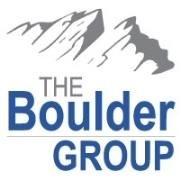 The Boulder Group is a boutique investment real estate service firm specializing in single tenant net lease properties. The firm provides a full range of brokerage, advisory, and financing services nationwide to a substantial and diversified client base, which includes high net worth individuals, developers, REITs, partnerships and institutional investment funds. 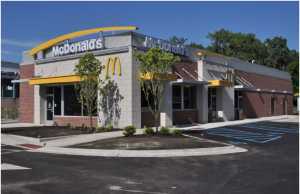 The Boulder Group, a net leased investment brokerage firm, has completed the sale of a McDonald’s ground lease located at 1070 North Roselle Road in Hoffman Estates, Illinois for $2,990,000.